If you are a business manager or a company owner, you probably want to make sure that your business premises are as safe as possible and safety in this sense means not only the security of your assets, but that of your employees, of your guests, of your clients and of your building as well. 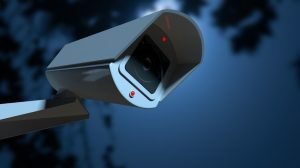 One of the best and most affordable ways to ensure that safety is to get a system of security cameras installed – if you have ever asked yourself the question “Does your business need surveillance cameras”, here are a few of the most important features and benefits of the surveillance systems that use cameras to allow you to decide for yourself. Security cameras installed in places visible to everyone are known to be among the most efficient deterrents against crimes, such as theft, burglary and vandalism. The damages caused by such criminal activity on unmonitored premises rise to hundreds of millions of dollars each year, so installing surveillance cameras is definitely a good investment into your company’s prosperity. Workers who are aware that their work is monitored pay more attention to executing work processes according to the instructions, to using machines safely as well as to observing safety measures, such as wearing the necessary security equipment or using anchors and harnesses properly. Surveillance cameras are useful tools not only for preventing intrusion – they are also essential for making sure that work is performed as it should be performed by your employees on the premises, that the equipment you use works safely or that faults and safety hazards are detected and addressed in a timely manner. Real-time monitoring permits managers and company owners to stay in charge of all the processes and activities that take place on the company premises without actually having to be present on the premises – monitoring via cloud-based platforms and on mobile devices, such as smart phones and tablets has been the standard for surveillance camera systems for quite some time now. Surveillance cameras can be useful in conflicting situations, such in disputes between employees about who did what and when or between employees and customers. The footages taken by properly distributed surveillance cameras, located in a way to be able to monitor all corners, can help managers retrieve the material that captures the disputed event or activity, thus providing hard proof of the disputed event. If an event on your premises needs to be investigated, properly distributed security cameras can provide all the evidence needed for finding out what happened and who can be held responsible for the event in question. Getting a security cameras Colorado system installed is much cheaper than employing security guards 24/7. In most cases, the presence of one security guard on the premises is still required because somebody needs to monitor the footages recorded by the cameras, but a few cameras can do the job of multiple human guards for a fraction of the costs.